This morning the Pound Australian Dollar (GBP/AUD) exchange rate rose steadily following the release of the latest UK unemployment data which revealed a dip to 4% in November. UK employment reached a record high with 32.54 million people in work, and average earnings including bonuses increased by a higher-than-forecast 3.4%, showing that wage growth continues to outpace inflation. ‘The number of people working grew again, with the share of the population in work now the highest on record. The pairing is currently trading at a rate of AU$1.8075 on the inter-bank market. During the session on Monday, the GBP/AUD exchange rate was hampered over the course of the afternoon following the release of the UK’s Rightmove House Price Index for January. House asking prices rose at the slowest pace since 2012, with the capital seeing a slump to figures not seen since 2015. Despite this, Rightmove did report that during the first two week of 2019, visits to their site by prospective home buyers was up 5% compared to the previous year. 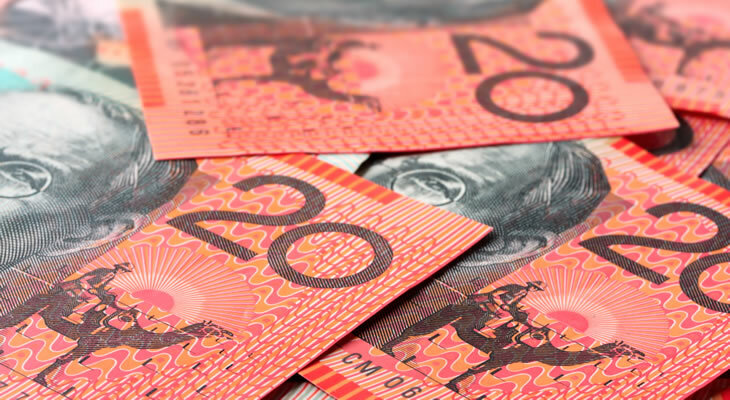 The GBP/AUD exchange rate remained volatile over the course of the session on Monday, as it was revealed that China’s economy had slowed to levels last seen in 1990, decreasing sentiment for the risk-sensitive ‘Aussie’. There could be fears over renewed tensions ahead of the continuation of talks between the US and China in Washington as the US continues to demand the extradition of Meng Wanzhou, Huawei’s Chief Financial Officer, who was arrested in Canada and charged with violating Iran sanctions. GBP/AUD Outlook: Will Brexit Anxieties Drag Down the Pound? It is likely that Brexit will remain in the spotlight for the rest of the week as Prime Minister Theresa May attempts to get her ‘Plan B’ approved by Parliament. The Pound could potentially see gains if there are further attempts for Article 50 to be extended, such as MP Yvette Cooper’s push for a bill directing the Prime Minister to seek a deadline extension if a Brexit deal is not agreed upon by 26 February. Thursday will see the release of the Australian seasonally adjusted unemployment rate, which is forecast to remain steady at 5.1%. The ‘Aussie’ could potentially slip as Thursday will also see the release of November’s participation rate, which shows the number of people of labour force age (15 years old and above) that are in employment or looking for a job. This figure is forecast to slip to 65.6%, which could benefit the GBP/AUD exchange rate. Next ArticlePound Euro Exchange Rate News: GBP/EUR Breaks Through €1.14, Growing Brexit Optimism to Push Sterling Higher?